I really hate going up to my favorite places and seeing a sign tacked to the door. I always fear the worst. 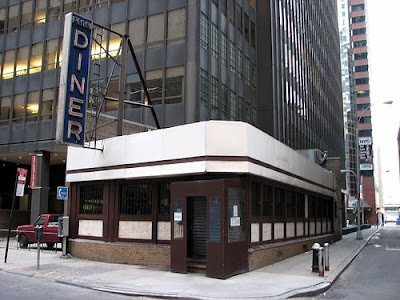 Like when I went up to the Pearl Street Diner in the Financial District yesterday for lunch. OK, I can live with this for one day. And filming for the new R-Pattz film "Remember Me" takes place here today. Remember to leave your screaming teens at home.